After traveling for 2-3 years in various places in the country, I’ve been to a couple of places that are well loved and popular but just don’t resonate with me. Here is that list. I’d been meaning to write about this for a long time but didn’t because I didn’t want to offend anyone (*cough* tourism offices) and also because I felt guilty about not enjoying myself as much as I would expect to. I know that’s a funny thing to worry about, but hey, try to live in the Philippines where people will cry war at any opinion that’s less than all praise and glory. In my experience, expectations play a big role on how we react. Sometimes I read and browse too much that when I finally visit a bucket list item, it just doesn’t live up to the idea in my mind. There’s also circumstances… I know I enjoy trips better when (1) the weather is fine, even though most Filipinos avoid the sun, (2) there are less tourists around. So without further ado, here’s my list of Philippine destinations that most people love and I don’t. Growing up, I’d always believed that El Nido is exclusive for the rich or those celebrating a special occasion. If I remember correctly, my older brother stayed here for honeymoon. It’s also often cited in “Best of” lists in international travel magazines and websites. Heck, just last year, it was in TripAdvisor’s list of Top Destinations on the Rise. I expected to be swept off my feet. I expected world-class beaches and lagoons worthy of being featured in magazine’s front pages. So you can imagine my disappointment when El Nido didn’t seem all that, except perhaps for the occasional wonder such as the snorkeling area in Matinloc Shrine. I was especially looking forward to the Big Lagoon, but it turned out our boat would only make one short sweep inside while us guests take photos. There were so many of us in the tour boat that we had to wait to take turns posing in front. Nacpan Beach in El Nido is nice though. Coron in Palawan is a much better destination in terms of *everything. * In fact, if you’ve been to Coron first before visiting El Nido, you might have less-than-favorable reviews of the latter as well. If you’re into beaches, Balabac in the south also have awesome beaches. 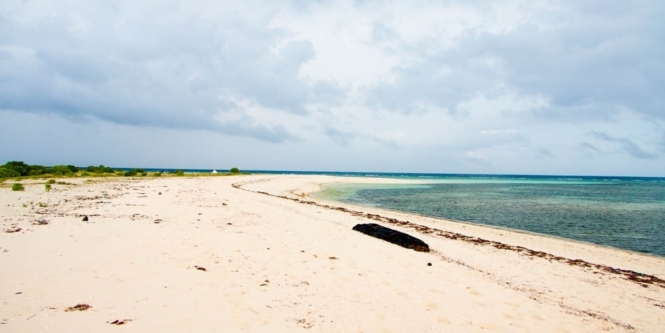 Kalanggaman Island in Leyte is famous for its long sandbar. The sand is white, yes, but coarse. Overall it looks great when captured with long-monopod cameras or drones. It’s one of those places that look so much better in photos than it does in reality. We went here during Holy Week, and honestly this is a huge factor for me not enjoying this island as much. As anyone in the Philippines know, during Holy Week every known beaches is jam-packed with families and vacationers. There’s a daily capping in Kalanggaman Island, but as a backpacker who’d been to some of the most secluded places in the country, the number of visitors is still too much than I’m used to. We couldn’t get a decent photo of the sandbar because it was always crowded, from early morning to sunset. Hali woke up at about 4AM to wait for sunrise in the sandbar and found there’s already about 15 or more people in there, rooted in the spot. The crowd only got larger as the sun rose. The good thing about Kalanggaman Island is that, unlike other tourist attractions in the Philippines, it was immediately handled by an LGU before any environmental damage could be done. As I said before, it’s a prime example of sustainable tourism. We might have enjoyed it better if we’d gone here before it was a famous commercial tourist attraction (about 2 years ago, at least) or in some other days, weekdays preferably. If you’re looking for an island where you can camp overnight, Sambawan Island in Biliran is more captivating and less crowded. Seco Island is another item on the list that looks good when captured using a drone. In real life, it looks ordinary. Most of the shore is covered in seaweeds. There’s a nice sandbar at one end of the island, where the water is a cool blue. But the sand is peppered with mossy stones and the water is perpetually low. I think Seco Island’s charm is its remoteness. It’s 2 hours away from Malalison Island in Culasi or the jump-off point in Tibiao. Getting here can also be a challenge. We were temporarily held back by a sea storm on the way, so we arrived an hour later than expected. I appreciated how we saw dolphins and bioluminescence during our boat travel — that’s what I’ll remember most about Seco Island. P.S. Credits to Kuya Brahma for reminding me that this island in Panay is better known as a kitesurfing destination, especially to foreign tourists. It’s only recently that it’s being promoted by local millennials as an Instagram spot, which I think isn’t a good promotional move. Antique has a diverse list of things to do and places more accessible, perhaps more worthwhile to visit. Here’s a list of things to do in Antique as a sample. Cabugao Gamay in Islas de Gigantes is my “Ito na yun?” island. When we visited here in 2015, I was uncertain whether I liked it or not. You can even tell that about the way I phrase my words when I wrote about our island hopping experience in Gigantes, which was leaning more on a (cautious) positive tone. I mean, it’s difficult not to like it especially after seeing hundreds of photos of it online, with the inviting blues and greens. Hali has been here back in 2014, and he was extremely positive about this experience. 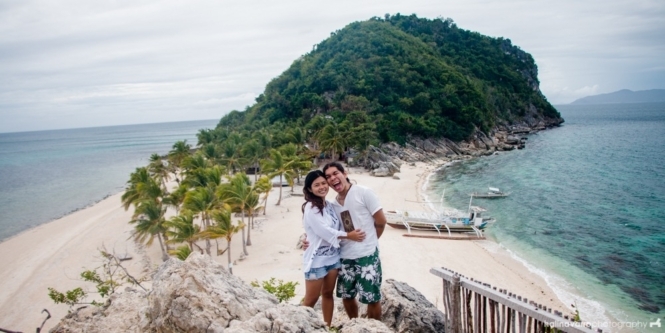 This was several months before the sudden surge of popularity of Islas de Gigantes. You can see much nicer photos of Cabugao Gamay in Hali’s previous visit here. It also didn’t help that there had been a typhoon during our visit in Iloilo. I guess it didn’t draw out the best colors of the water around the islands. We rushed to visit Tangke Lagoon before the waves got too rough and ended up wading around ankle-deep brackish water. The thing about not liking a popular tourist attraction is that it’s difficult to voice it out. Everyone just seems to love Cabugao Gamay, at least in social media. Later on, I caught up with a friend a we chatted about our travels for the last year. It was surprising to me that we have similar views on Cabugao Gamay, which she’d visited on a perfect weather (unlike us), as well as Kalanggaman Island, which she’d risked a boat ride for. I enjoyed my time in Guimaras more than our island hopping stint in Iloilo. 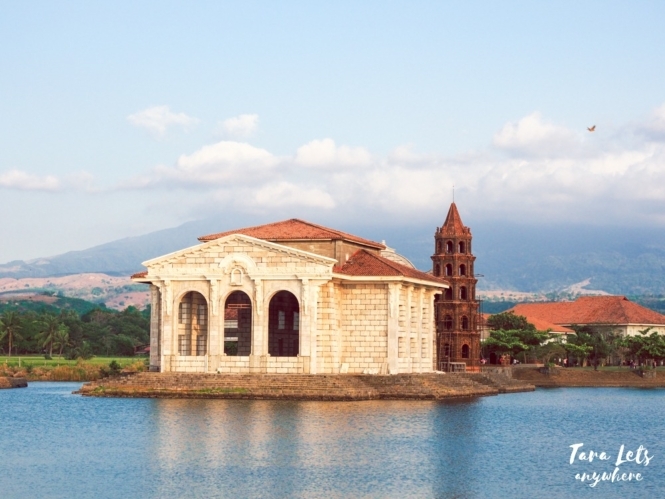 That province has a feel-good vibes, and it seems there’s a lot of resorts there worth seeing. I’ve noted down Magic Island Resort, Nature’s Eye Resort and the Floating Cottage for possible future trips. When I first mentioned this list to Hali, he was surprised. The thing is, between the two of us, I’m the pickier one. He said if he’d have his own list, it would include Sagada. I also have a lot of travels where I was taken in surprise, awed, rendered speechless or just happy. Most of these are places where I had none or minimal expectations or when I did little research as possible. I’m happy to say that most of our travels fall under this. I realize that when I expect less, I give a chance for the world to sneak behind my back and surprise me. What are some popular places in the Philippines that aren’t really up to your liking? Hi Mariana. Maybe you should just choose between El Nido and Coron. I’d recommend the latter. I was in Coron for 5 days and it wasn’t enough. 🙂 Otherwise it’s okay. I think it’s indeed a combination of expectations and other places you’ve allready been to. At the moment I ‘m in El Nido and I’m not a backpacker or a scuba diver. To my opinion the prices you pay for tours A,B etc. Are reasonable (1200 php) but single boattrips to beaches on islands are expensive (4000 php to 7000) and that is no value for you money. Also El Nido as a town looks low budget but isn’t. I like to spend money and have value for it but in El Nido doesn’ t do it for me despite the friendly people. I prefer Boracay even with all the tourists. A friend of mine has been raving about El Nido. He keeps telling my hubby and me that we should go there. Problem is that I always view it as a rich man’s destination. I may come across as a penny pincher but I do like long vacations and for that I need to stretch my budget a lot more. Great post, I like posts written by locals that tell it as it is and that suggests other less known places. I find bloggers might spend a few days somewhere, like El Nido, and rave about the beauty…but they maybe haven’t been to Coron or too many other places. And in the end these bloggers all end up writing about the same places. I;ve never been to any of these places but can relate. I didn’t dig Venice like EVERYONE else does. Instead, I loved Burano. I agree that high expectations damper your experience more times than not, too. I think it is a matter of preference indeed, because some people I know prefer El Nido over Coron. But you are right, Nacpan is nice. I went to Port Barton also, and some people love It but I got bored. However I’ve visited Kalanggaman when it was not that popular yet, it was great. But nowadays, there’s a problem with the garbage. Sambawan is cool but the problem is going there though, not that easy. Oh yeah it’s tricky going to Sambawan Island. The passenger boat has limited schedules and no transfer on Sundays, a private boat is expensive for a solo traveler. I have been both to El Nido and Coron, but I still prefer El Nido over Coron. I would definitely comeback to El Nido. Ive always been to beaches during best season, summer. Best beach is Sibang Cove… ever. Eventho i was wet during a rainy night n morning, stranded for a day, and rat made a hole in my osprey backpack next it Aguirangan Island then Calaguas. All these places I camped for minimum 1 night. Overrated is Maniwaya beach and Caramoan. Not so good for swimming or snorkeling. I rate them by fineness n quality of sand, cleanliness of surrounding, most natural state, good snorkeling diving site. So far ive never been to Mindanao yet. Its so annoying when people edit it too much for their IG that it makes people expect a lot. Some places are not as nice as they are drummed up to be – they are past their prime or just over-hyped courtesy of a very active tourism department. But sometimes, it’s not necessarily a question of the destinations being “overrated” – it’s a matter of timing! 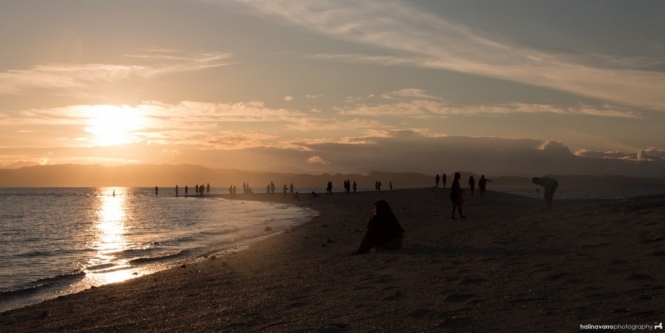 If you like remote beaches and a “Robinson Crusoe” experience, going anywhere in the Philippines during Holy Week is a bad idea – it’s the busiest week in the country and tourist destinations will be packed! We try to go abroad during Holy Week – and I dread it when we didn’t plan ahead and are staying local! I also agree with your point about going with the best people. Just recently we went to see waterfalls in Biliran and although they were a great sight, we hired an awful tour guide that just ruined the experience. It definitely made me feel like not wanting to go back to the province.